Hardworking people who get injured or become disabled in southeast Michigan deserve skilled, all-out representation from a hardworking lawyer. 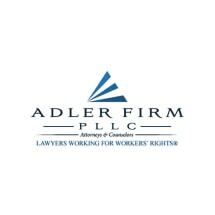 At Adler Stilman, PLLC, our attorneys and staff understand the laws, forms, procedures and requirements associated with workers' compensation claims and claims for Social Security disability benefits. Our focus - all day, every working day - is on winning fair compensation for people injured on the job, people with disabilities that keep them from working, and accident victims. If you need help getting workers' compensation benefits, contact us. If you need to apply for Social Security disability benefits or your application has been denied, we want to help. After a car accident or other injury-causing event that was not your fault, give us a call. Our founding attorney Barry Adler is a lifelong Detroit-area resident who has been practicing law since 1979 and leading our firm since 1986. He authored the workers' compensation section of the Michigan Lawyer's Manual and has the highest possible rating of "AV" in the Martindale-Hubbell peer review system*. He has also spoken on our practice areas at numerous legal seminars. Attorney Steven Stilman is approaching 20 years of legal advocacy for the injured. Together we have tried and won over 100 workers compensation claims and collected over $100 million for our clients. Our attorneys have a 90 percent success rate in Social Security Disability cases. The entire professional team at Adler Stilman, PLLC, is motivated by the knowledge that without skilled legal counsel and practical help, many on-the-job injury victims and disabled people cannot get the benefits they deserve. We have helped thousands of deserving individuals win millions of dollars in compensation to support themselves and their families. Our metro Detroit workers' compensation law firm primarily represents injured and disabled workers in Wayne County, Macomb County and Oakland County, Michigan. Many of our clients come to us because we have helped a friend or relative through a similar situation - and many have another lawyer tell them our firm is the best resource for their needs. In many cases, our lawyers can evaluate your case over the telephone - or we will travel to visit with you at home or in the hospital. You take on no added financial risk when you work with us, because we charge no attorney fees unless you win compensation or benefits. *Martindale-Hubbell is the facilitator of a peer review rating process. Ratings reflect the confidential opinions of members of the Bar and the judiciary. Martindale-Hubbell ratings fall into two categories - legal ability and general ethical standards.